An astrophysicist examines a powerful human impulse and its key role in science, art, and discovery. Simon & Schuster. 2017. 252 pages. Models of active learning, whether tagged as open-ended, project-based, or inquiry, all aim for stronger student engagement. But what motivates engagement? For astrophysicist Mario Livio, it is curiosity, the subject of his new book. As Livio tells it, curiosity, not intelligence, sets man apart from other animals. The deep desire to know is one of humanity’s key motivating impulses, “an engine of discovery” that leads us to explore, experiment, and achieve. But why and how do people become curious, and when do they pursue or abandon an interest? Are there different kinds of curiosity? Can curiosity be cultivated, and is it beneficial—for societies as well as individuals? Livio, a best-selling author of science texts on topics ranging from the golden ratio to the mathematics of symmetry, pursues such questions because of his own avid curiosity. His work at the Space Telescope Science Institute has been devoted to “deciphering the cosmos and various phenomena within it.” The discussion in Why? seems to track his varied interests, weaving together an unusual tapestry of biographical profiles, personal anecdotes, and speculations alongside scientific evidence from the fields of psychology, neuroscience, and neurobiology. To enjoy this book, readers must release themselves to considerations of Kate Chopin’s “The Story of an Hour” and Mark Twain’s “A Medieval Romance,” intertwined with discussions of cognitive science, social media, Carl Jung’s theories, and human brain development. Livio does not propose to “solve” what philosopher Daniel Dennett once termed “the last surviving mystery,” but rather to generate greater curiosity about it. The two profiles are followed by the psychological parsing of different types of curiosity and, in chapter six, neuroscientific studies that confirm the complexity and variability of curiosity. There is the drive to resolve a perplexing problem or confusion (perceptual curiosity); a more general love for knowledge (epistemic curiosity); a need to locate particular information (specific curiosity); or a desire to relieve boredom (diversive curiosity). There is also the “rather bizarre” morbid curiosity, which, for example, prompts motorists to rubberneck at a roadside accident. Chapter seven considers Homo sapiens brain development, emphasizing the importance of curiosity alongside that of language and intelligence. Chapter eight returns to profiles, this time in the form of nine interviews of contemporary individuals. Each provides intriguing insights into curious personalities, such as physicist Freeman Dyson and his preference for details over the big picture; a fascination with multiple subjects on the part of Fabiola Gianotti, director-general of the European Organization for Nuclear Research (CERN); Brian May, guitarist of the rock band Queen, who later pursued an astrophysics career; and a belief that childhood represented a time of even greater, unrestrained curiosity, typified by Gianotti and autodidact Marilyn vos Savant. Livio recalls the many times societies have sought to limit curiosity. From folksy saying about overly curious cats to Third Reich denunciations of “decadent art” or the Taliban’s ruthless attack on student activist Malala Yousafzai, countless groups aim to squelch inquisitiveness. 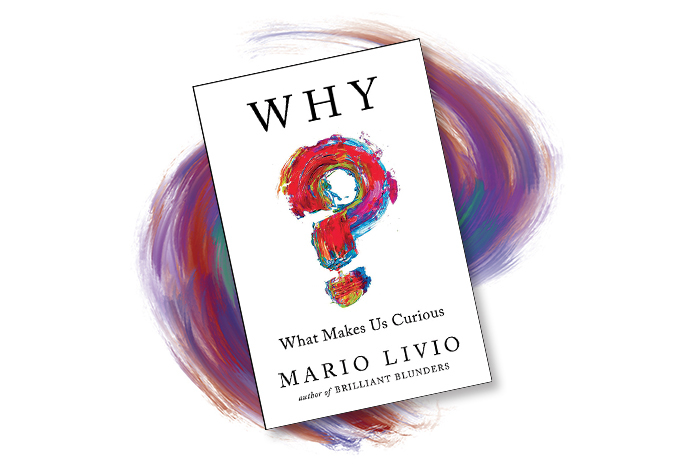 Yet for Livio, “curiosity is the best remedy for fear.” When he coined that line for a 2016 lecture, he was not surprised to discover that others have expressed similar sentiments. “One of the clearest manifestations of freedom is precisely the ability to become interested in anything you like,” he writes. Curiosity is crucial to battling dictators. Concluding points on ways to encourage curiosity are not the book’s strongest revelation. They include such bromides as expose yourself to new sensations and states of mind; seek out curious individuals; and keep a record of inquiry, as da Vinci did with his notebooks. Nonetheless, they underscore the importance of curiosity and the need to foster it in youth. “The goal is to train their epistemic curiosity muscles and to enhance their intellectual dexterity,” writes Livio. Brain training for life’s marathon, in other words, or as the curious cat parable notes, satisfaction brought him back.